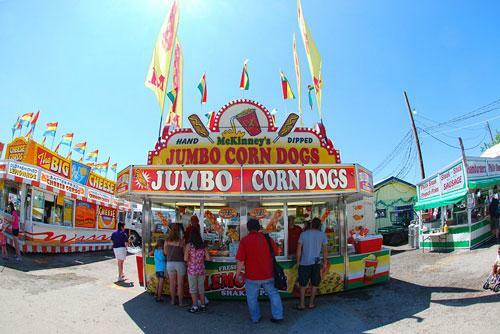 The German Heritage Festival, Zabawa Polish Festival, and Wattsburg Erie County Fair are all back to help close the summer season – but not without one last Gemutlichkeit! Running Aug. 30 to 31, this family favorite kicks off with Bob Hamilton, better known as the "Mad Bavarian," opening on the main stage – and only gets better from there. Guests can enjoy authentic German cuisine, other live music, a petting zoo, pony rides, historical and genealogical research, and of course, a bräu or zwei. This event is rain or shine – as all activities are held under tents. Cost is $5. The weekend of Aug. 22 be sure to explore this annual Polish fest and feast. No matter your heritage, Zabawa (which means "great fun") is an instant fan-favorite once you partake in the live Polka music from nationally renowned bands alongside plenty of dancing, authentic Polish cuisine, baked goods, and spirits. This family-friendly event held at Holy Trinity Church will also boast a children's area and several games for all-ages. Free admission.